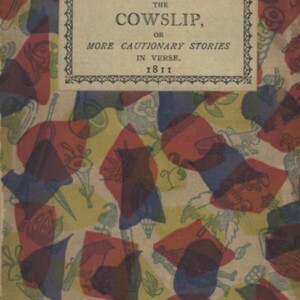 Cover to "The Cowslip, or More Cautionary Tales in Verse." Cover to "The Cowslip, or More Cautionary Tales in Verse." Originally printed 1811, reprinted 1899. "The Cowslip, or More Cautionary Tales in Verse." 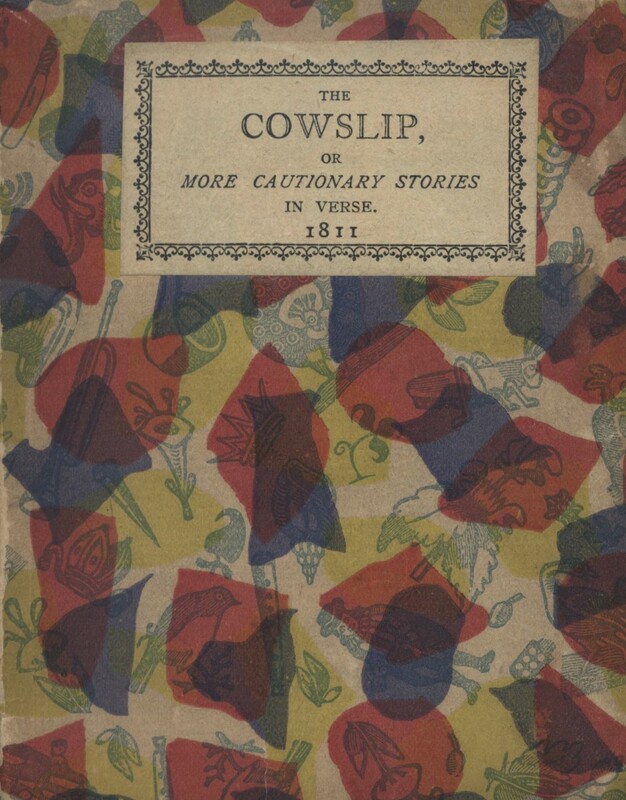 Leadenhall Press, “Cover to "The Cowslip, or More Cautionary Tales in Verse. ",” UVic Libraries Omeka Classic, accessed April 21, 2019, http://omeka.library.uvic.ca/items/show/1737.